The Grandvalira Lift Pass covers Soldeu, El Tarter, Pas de la Casa, Grau Roig, Canillo & Encamp - 6 days €232 - 2012/13 High Season*. The Principality of Andorra is located in the Pyrenees between France and Spain. 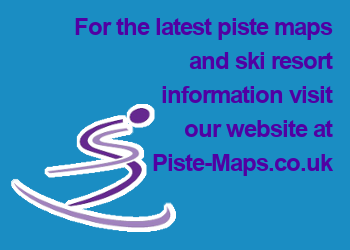 It offers good value skiing in three main resorts, Soldeu, Pas de la Casa & Pal-Arinsal. Once regarded as a cheap, low cost tax haven, the best ski resorts in Andorra, in particular Soldeu are comparable in price with many of the better known French resorts. Soldeu El Tarter ski resort is a lively and friendly village very popular with British skiers for its relaxed ambience and great après-ski. Access to the ski slopes is by modern gondola from Soldeu village. More about Soldeu El Tarter Ski Resort. Pas de la Casa, usually called 'Pas', is the highest ski area in Andorra. it is a purpose-built ski resort situated on the French border at the foot of the largest ski area in Andorra, a collection of concrete-box style apartment blocks and hotels, with most accommodation conveniently placed near the main ski slopes. More about Pas de la Casa Ski Resort. The nearby ski resorts of Arinsal and Pal offer good skiing for the novice and intermediate skier. Arinsal is different from Soldeu and Pas de la Casa in that it has quite a few full time residents and the villages are 'year round' while the others are fairly seasonal. More about Pal Arinsal Ski Resort.